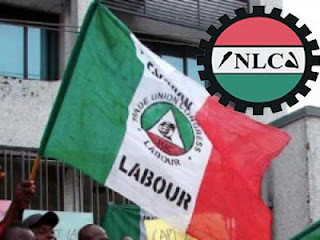 The leadership of the Nigeria Labour Congress (NLC), an umbrella body of workers union movement in Nigeria, is divided over the threat it issued on Saturday that it will embark on a national industrial action in an attempt to coerce the government to revert the increase in price of petrol. While some groups in the camp of the NLC President, Mr Ayuba Waba, are not sure whether the strike will hold or not, pending the out-come of a rescheduled meeting with the government on Tuesday, both the Electricity Workers Union, NUPENG and their allies are backing down on the proposed strike. The Secretary to the Government of the Federation (SGF), Babachir Lawal, led a team of ministers and other government officials to dialogue with the workers union at separate meetings to resolve labour agitations since the pump price of petrol was increased from 86.50 Naira to 145 Naira last Wednesday. The President of the NLC and his team went into the meeting with the Federal Government officials on Monday. After the closed-door meeting that lasted for hours, the SGF said the meeting was adjourned to 5:00pm, local time on Tuesday for further deliberations. Meanwhile, the leadership of the NLC and the Trade Union Congress (TUC) are uncertain whether or not to continue with their earlier strike warnings. After the meeting with the NLC the SGF also held a meeting with the leadership of NUPENG, Electricity Workers Union and their own allies. Before the closed-door session, Governor Adams Oshiomole appealed to the union leaders to see reasons with government’s decisions to increase the price of petrol. When the meeting ended, the SGF told reporters that the deliberations were fruitful even though the meeting was also adjourned. The Executive Secretary of the Electricity Workers Union, Joe Ajaero, speaking on behalf of the leadership of the unions, disassociated themselves from the proposed strike of the NLC. As it stands, the workers unions are divided over the proposed strike scheduled to begin on Wednesday, but they all agreed that the government should define measures to cushion the effects of the increase. The four-day ultimatum issued to the government by the NLC to revert to the old petrol price of 86.50 Naira will end on Tuesday night.